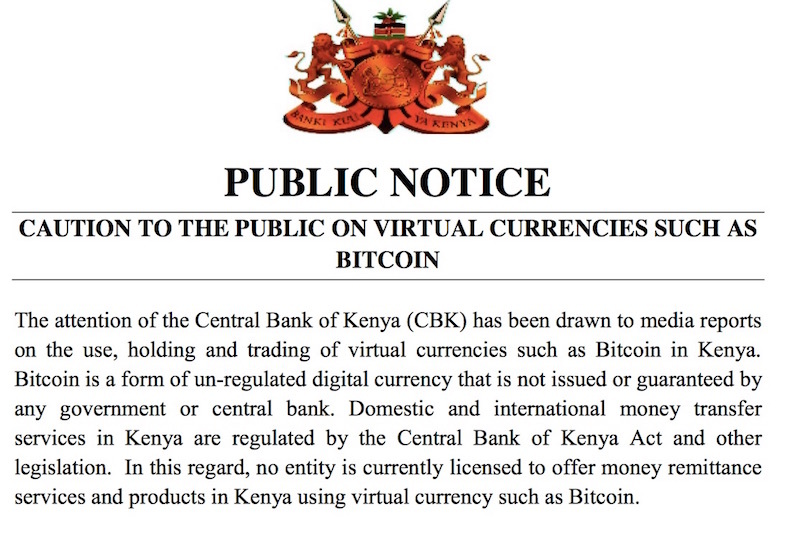 Earlier this week, Kenya’s Central Bank put a cautionary notice in the newspapers about the use of virtual currencies like Bitcoin in Kenya. They did not say it was illegal, but some people have taken the notice to mean that it was, as it the notice alluded to instances of Bitcoin being used by criminals for money laundering and drug trafficking. 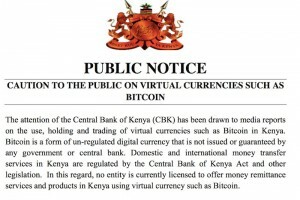 The Bank was stating they did not regulate Bitcoin, and nor did any agency in Kenya, but that there was no legal status or protection that came from transacting in Bitcoin. 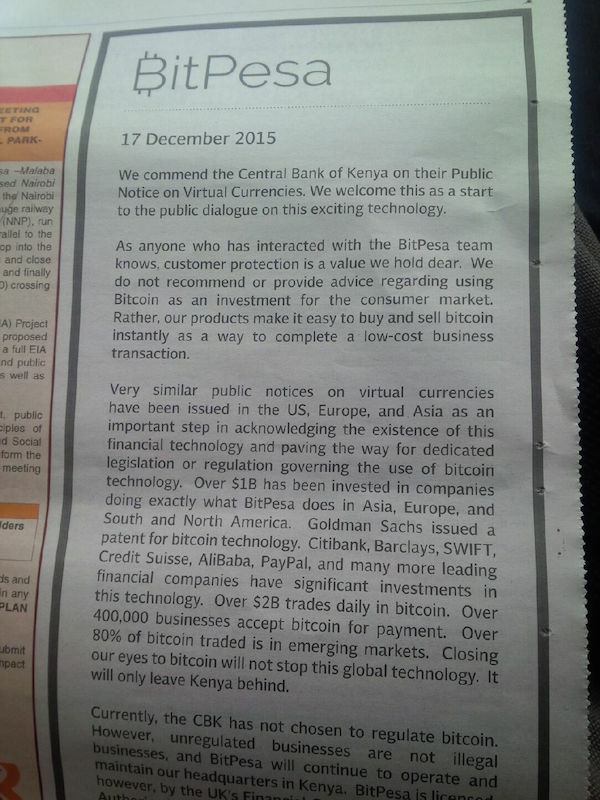 And today, one of the leading champions of Bitcoin in Kenya, Bitpesa, put a reply advertisement in the same newspaper. They noted that virtual currencies like Bitcoin were gaining users, financial backers, and acceptance the world over – and that $2 billion is traded daily with Bitcoin. They also hinted that there are 4,000 business users of Bitcoin through Bitpesa in Kenya. Bitpesa are currently embroiled in a dispute with Safaricom, Kenya’s leading telco. Safaricom cut Bitpesa from using their M-Pesa platform a few weeks ago, but they Bitpesa announced that they have since signed up with Airtel Kenya for the customers to use Airtel Money to buy Bitcoin, receive funds, and make payments. This all harkens back to disputed about seven years ago when Kenya’s leading banks were united in a war against M-Pesa, and they urged the government to curb the potential for M-Pesa to be used for money laundering or criminal possibilities. 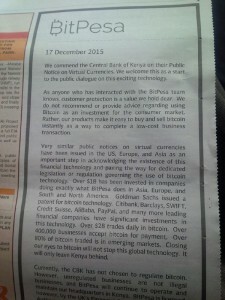 This entry was posted in Bitcoin, CBK, M-Pesa, NSE investor awareness on December 17, 2015 by bankelele.